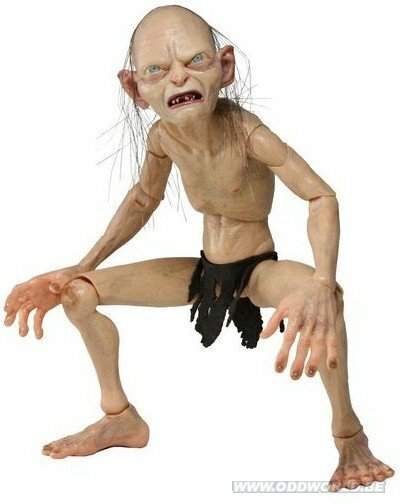 Lord of the Rings/Hobbit 1/4 Scale Gollum Action Figure. 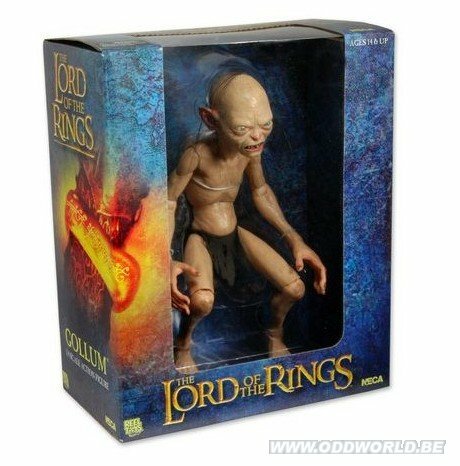 A brand new addition to our 1/4 scale figures brings you characters from The Hobbit and the Lord of the Rings trilogy. 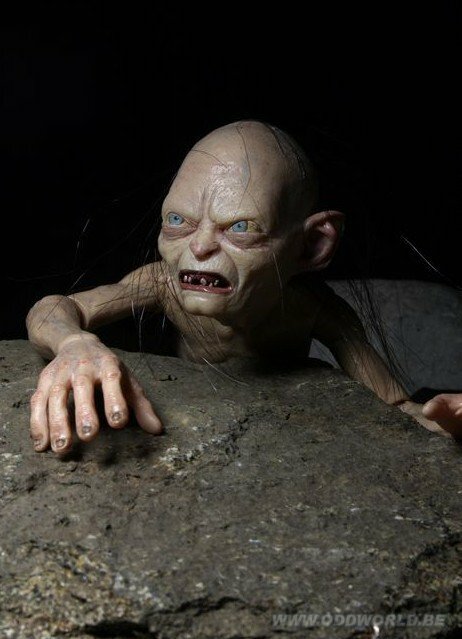 Our first figure in this exciting new category will be offered in an assortment of Gollum and Smeagol (see elswhere on our site). 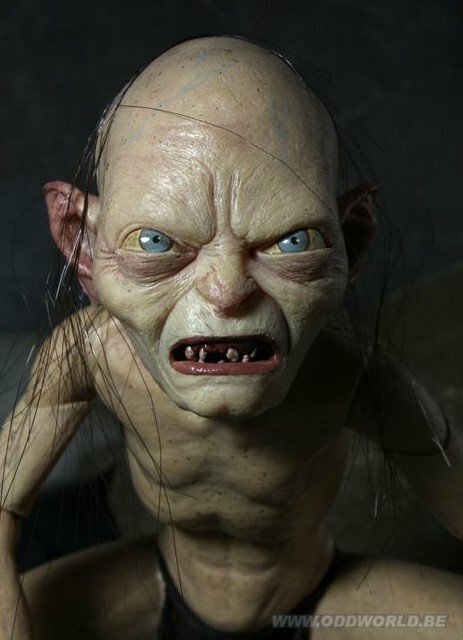 The figures stand over 12" tall and feature amazing detail and articulation based on Gollum/Smeagol's appearance in Lord of the Rings. 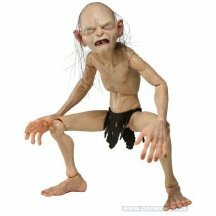 Each figure is incredibly detailed and features over 25 points of articulation for endless variety of posing and crouching. 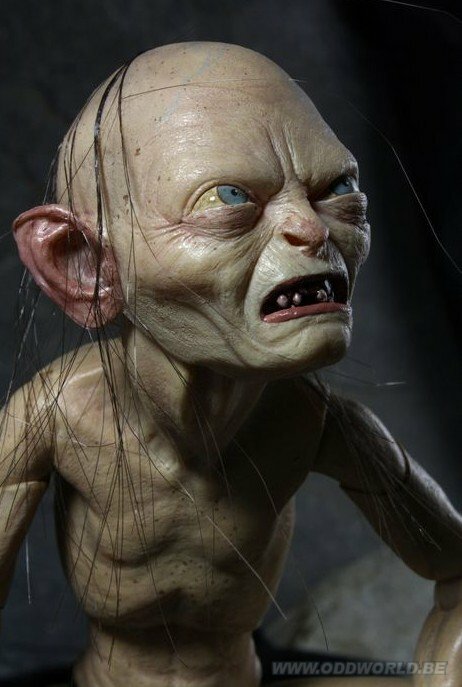 This is the most accurate and most poseable version of Gollum or Smeagol ever released.